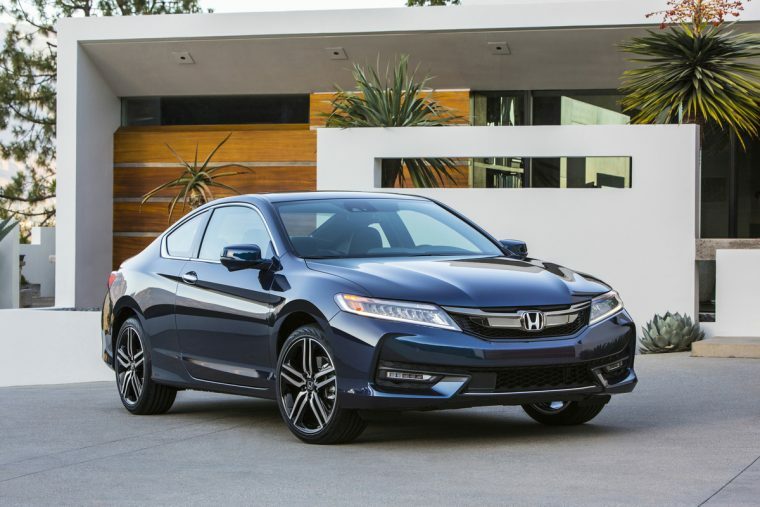 The 2016 Honda Accord has received a 2015 Top Safety Pick+ rating from the Insurance Institute for Highway Safety (IIHS) for both Sedan and Coupe models equipped with optional front crash prevention from the Honda Sensing suite of safety features. Honda Sensing is available on LX, LX-S, Sport, EX and EX-L trims of the Accord, and comes standard on the Touring trims. The refreshed 2016 Accord received the Institute’s rating of “Good” in five different test modes, including the challenging small overlap frontal crash test. The 2016 Accord Sedan and Coupe’s available frontal crash prevention systems were awarded a top rating of superior, earning the vehicle its Top Safety Pick+ designation. The Japanese automaker is touting Honda Sensing as the most comprehensive suite of advanced safety and driver-assistive technologies offered in the midsize class. Sensing safety features include Collision Mitigation Braking System with sensor fusion technology, Lane Departure Warning, Forward Collision Warning, Lane Keeping Assist, Road Departure Mitigation, and Adaptive Cruise Control. All 2016 Accords come standard with a Multi-Angle Rearview Camera and Expanded View Driver’s Mirror.